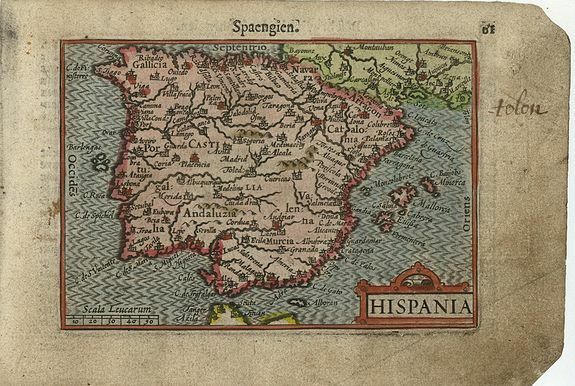 Description :Very fine early miniature map of a part of Spain, this map is from the first edition of the Langenes atlas, (later well known under the name of Bertius). Dutch text on verso. Condition : Good, but a bit durty in the margins.